Back to our regular scheduled week. This week Bennett has his shots and 6 month appointment on Monday; we also get to spend the day with his Auntie Ally because she is out of school for President's day. We are going to try and make it to Stroller Strides on Tuesday instead of Monday since his appointment is in the morning. 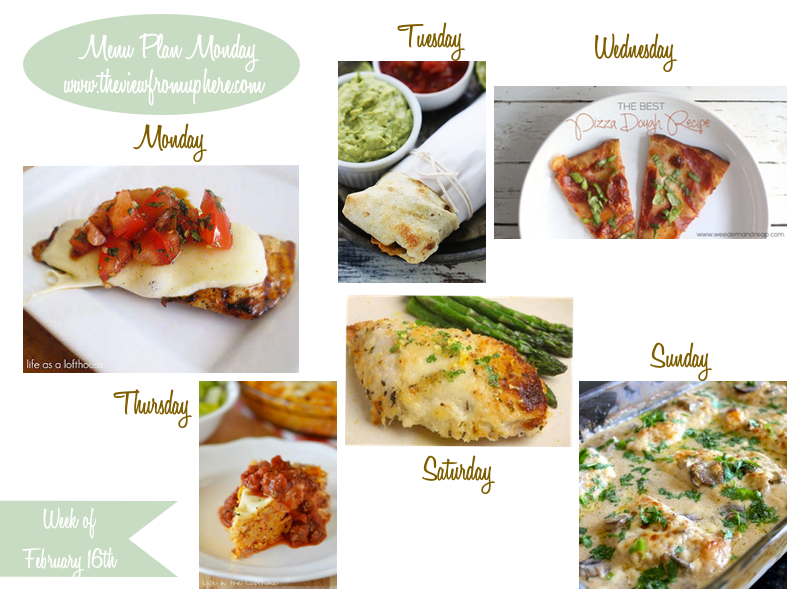 Wednesday I will be subbing--hence Pizza night! Thursday, Bennett graduates from swim class (what?!). On Friday, we will have our date night...not sure of where, if you have a new place to suggest, DO IT! Either Saturday or Sunday, I am going to have my family over...will have to see what the winning recipe for them is. Excited for this week ahead. My FAVORITE food this past week was the Crisp Bean Burrito, I'm kinda doing another rendition of it this week with the chimichangas. Nic's only suggestion with the burrito was to have meat. So that I will do! I am perfectly fine without meat in my food, but he wants it in his meals. Today I made a delicious smoothie for an afternoon pick me up snack. I am going to share it on the blog tomorrow so keep an eye out for it. In the meantime, check out 13 Oatmeal Smoothies. It really was a great snack to hold me over til dinner. 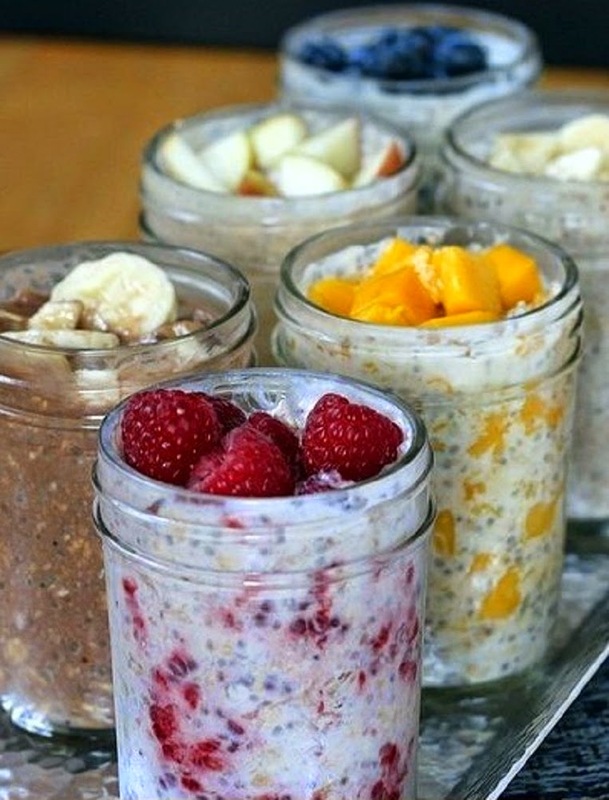 Those yogurt jars are such a great idea!!! And all those recipes are just looking delicious! !